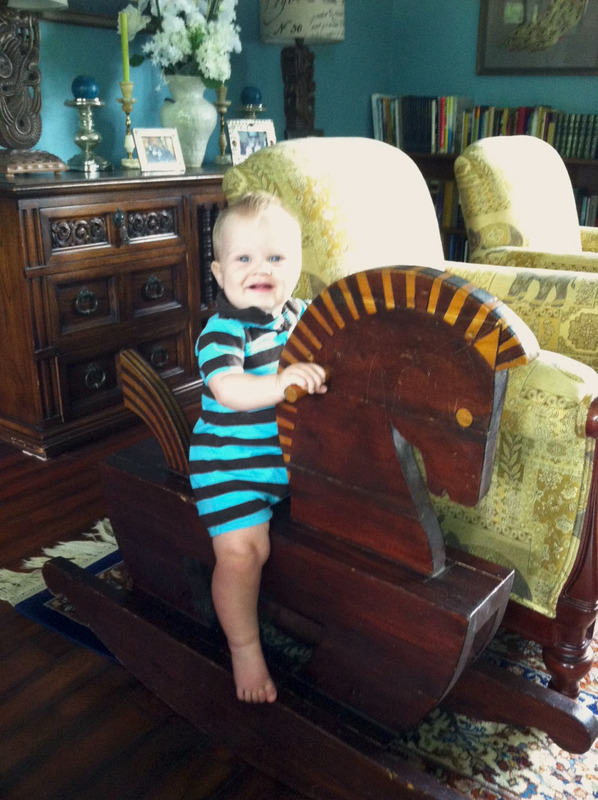 My parents have a rocking horse that my dad made for my oldest sister in the late 70s. 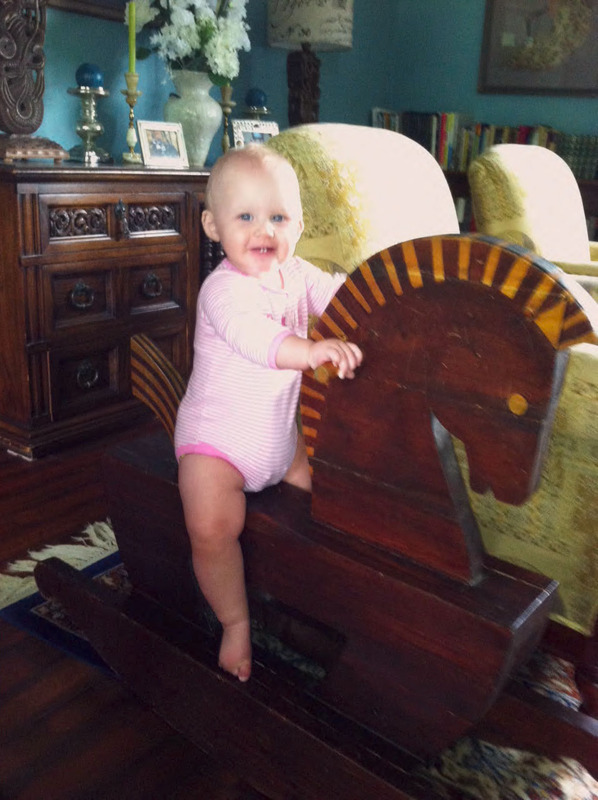 They have a photo of her as an infant on the rocking horse, and various photos of my other sister and I on it. Beginning with my oldest sister’s children, my parents have made a point to get each grandchild photographed with the horse. They lug the horse to a local photography studio, pull out old copies of past photos to get the right accessories in the new shots, load up the baby, and wait for the results. Today for the first time, my babies got a shot at the horse. I see a trip to the studio in their future. I’m the one is the best sweatshirt you have ever seen. I’m pretty sure if I wore that today, I’d fit right in. The rocking horse was made for the sister on the far left. 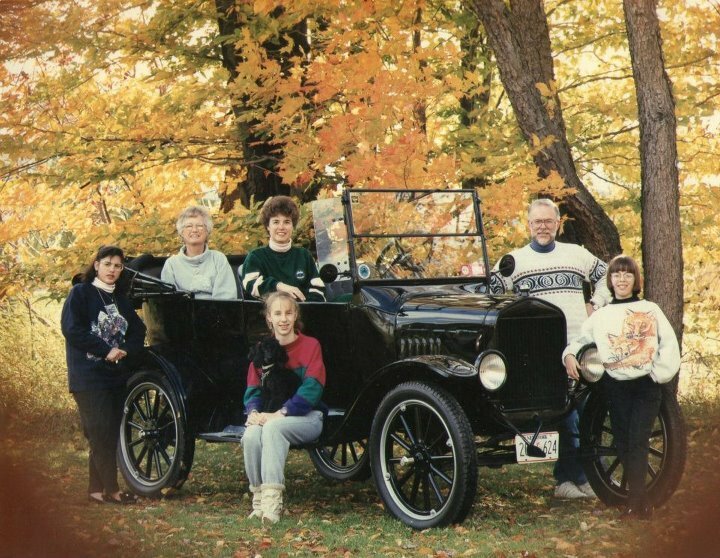 My dad liked to restore old cars, so that’s why there’s a model T in our backyard. We were just casually gathered around it with a demon dog named Jingle Bells when a photog showed up, so there we go.